The Pryor Leadership Program was started almost 25 years ago by William Jewell College graduates Shirley and Fred Pryor. The three year program entails a multitude of learning experiences that develop growth and promote leadership skills. During the Pryor students’ senior year they must complete a legacy project and partner with an organization or cause they want to promote. The 2018 Pryor class has partnered with a local Kansas City nonprofit, Veterans Community Project (VCP), for their legacy project. VCP is a relatively new nonprofit whose mission is to eliminate veteran homelessness by building dignified transitional housing and providing services and resources to help Kansas City veterans support themselves. Through the years the Pryor classes’ projects have varied over many different areas. In the past, Pryor classes have partnered with a multitude of causes such as the Pre-K reading program “Raising a Reader” and the international disaster relief program “Heart to Heart.” Kevin Shaffstall, Director of the Pryor Leadership Studies Program, talks about the reach of the program. “Our programs have been very wide and varied depending upon the needs of that time and the passions of those particular students,” said Shaffstall. Aspen Hawkins, senior William Jewell senior psychology and Applied Critical Thought and Inquiry (ACT-In) major, is the head chair of the legacy project events group. 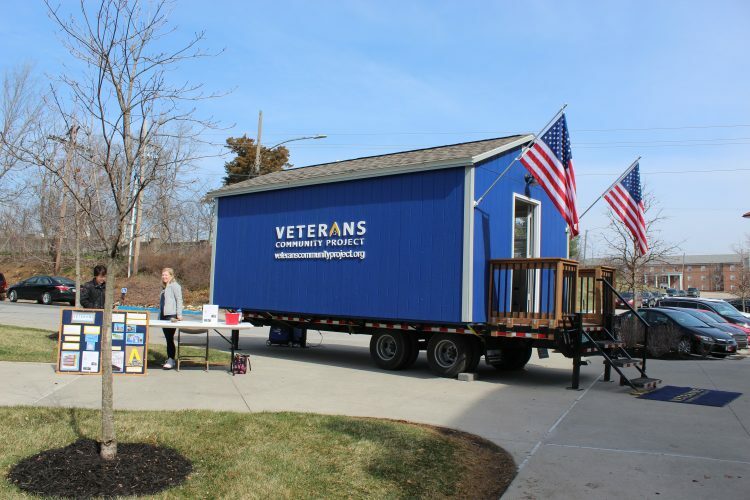 Hawkins and the 2018 class have facilitated events to promote the VCP on campus such as the showing of a tiny home on Jewell’s campus and hosting “The Critical Issues and Challenges Facing Veterans Today” discussion. Hawkins talked about how the 2018 Pryor class has partnered with the VCP to volunteer and donate to their cause. “We have matched donations for up to $20,000, so once we have raised that we will have 40,000. The idea behind that is that we are going to either sponsor a couple of veterans for a year and furnish the tiny homes or we are going to put a large donation into their community center that they are building right now and the community center is going to place that is going to be near the tiny homes and is going to have a vet clinic, its where also the case workers will be, it’ll have a kitchen it’s going to be their home base. We’re also volunteering. We have small groups who go once a week from our class and just help out wherever we can, whether that be painting the tiny homes, sorting their pantry, or just helping out in any way they need it. Because, at this point, they need a lot of volunteers,” said Hawkins. Troy Williams, senior political science major and co-director of the 2018 legacy project talked about the group’s enthusiasm and passion for their cause. “When we got to the point where we had decided as a class that we wanted to work with the VCP, everyone just got really excited about it and we started working on a plan. We actually went down to the VCP one day and got a tour of the community and their headquarters and for me that was probably the most exciting part because it was real. We had kind of been working on it and working on it, but once we had gone down there and seen it, it became real,” said Williams. The legacy project embodies everything that the Pryor students learn over their three years in the program and puts to the test the skills that the students have learned about leadership. Shaffstall discusses the way that students grow from their sophomore to their senior year and utilize the things they have used from the program for the legacy project. “From our first course, it kind of opens their [the Pryor students] eyes to new leadership concepts and possibilities and ways of leading as well as a level of reflection and living an examined life. So I think reflection starts after the first class. Then Outward Bound brings a very demanding, physical, mental and social challenge. Students come back more confident, so then there is a level of confidence that comes along with the reflection. Then through the internships I see the students take that confidence and reflection and start to create a level of commitment and resolve to their fields and to their careers. I think at the end they have a mindset that ‘we can do it and we can make a difference and we can do it together’ so I see the students evolve with a level of confidence and a level of commitment,” said Shaffstall. Blair Sundhausen, senior nonprofit and ACT-In major, is co-head of the fundraising committee for the Legacy project. Sundhausen’s job is to make sure the word is getting out about their project through reaching out to people, asking for donations and sending letters. Sundhausen comments that it is good practice for her field. “I like it because, as a nonprofit major, I feel like I’m using my skills that I’ve gained these last four years and actually applying them. I wrote a donor letter which is something that I’m going to have to do on the daily – hopefully when I get a job at a nonprofit one day,” said Sundhausen. 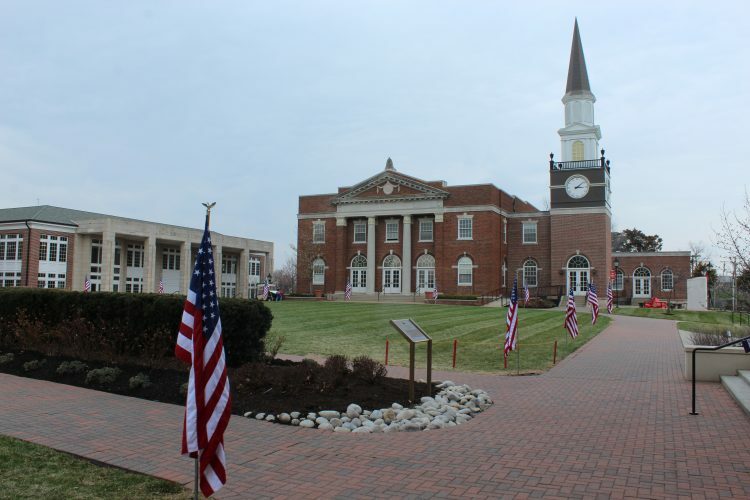 The 2018 Pryor class will be hosting more events and fundraisers for the VCP in the future and if Jewell students want to donate or learn more about the project they can talk to any of the students of the 2018 Pryor class or donate directly through this link https://www.jewellalumni.com/SSLPage.aspx?pid=320.